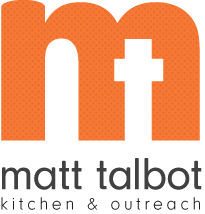 Matt Talbot has a history of being proactive and innovative in making nutrition a priority. The Nutrition Program includes Medical Nutrition Therapy, nutrition education, cooking classes for adults and children, and a community garden. In addition, Matt Talbot's Nutrition Coordinator, a registered dietitian, works with volunteer hunger relief teams to encourage preparing meals that include low-fat protein and calcium foods, adequate fruits and vegetables (especially fresh or frozen), low sodium foods, as well as whole grains. Maximizing the overall nutritional content of the meals served at Matt Talbot will help guests prevent or manage chronic conditions related to diet such as obesity, diabetes, stroke, and heart disease.